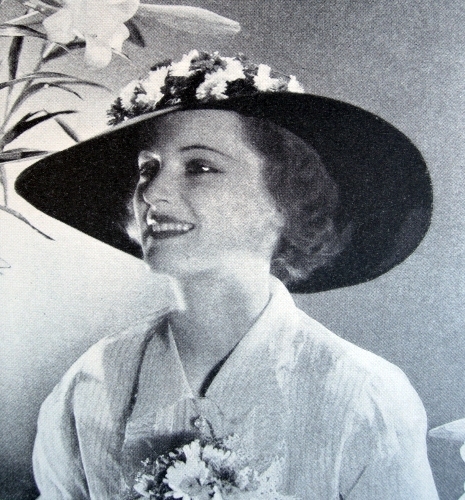 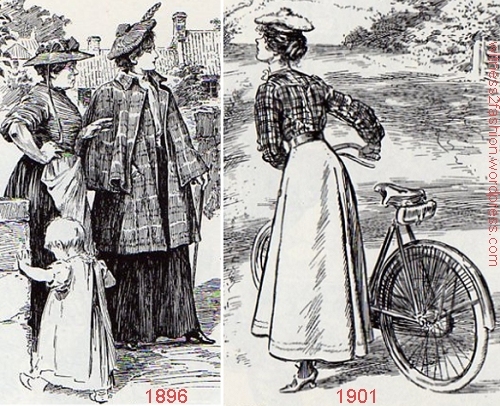 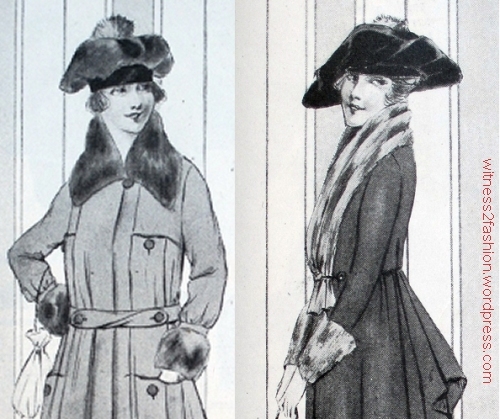 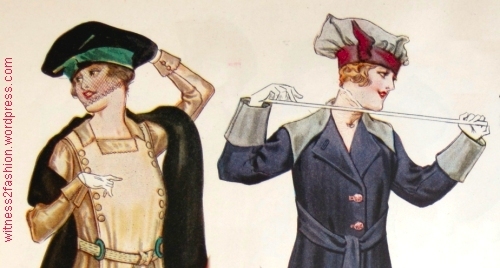 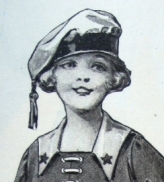 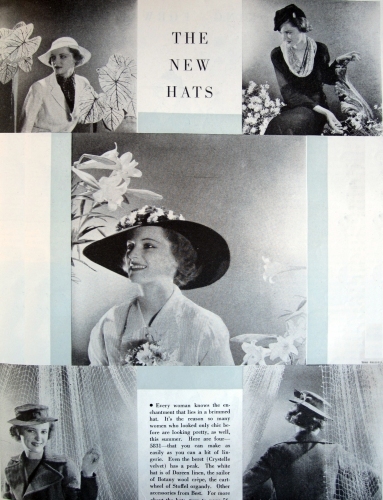 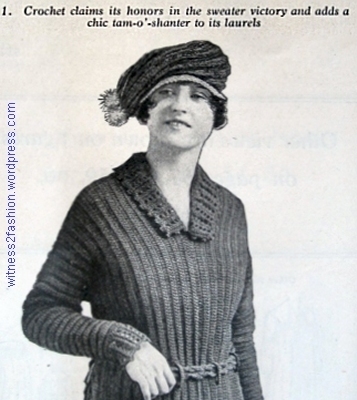 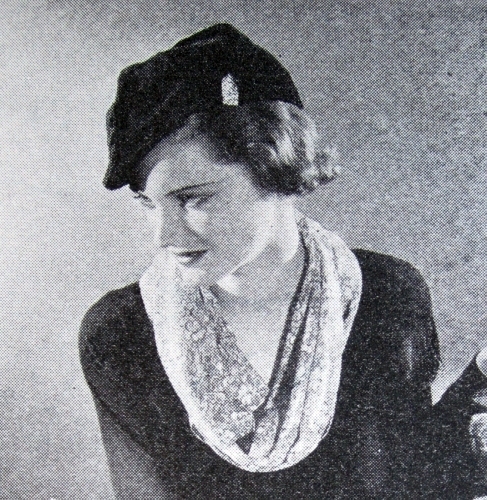 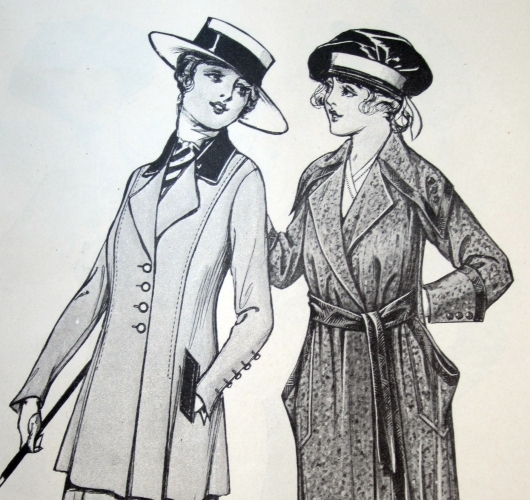 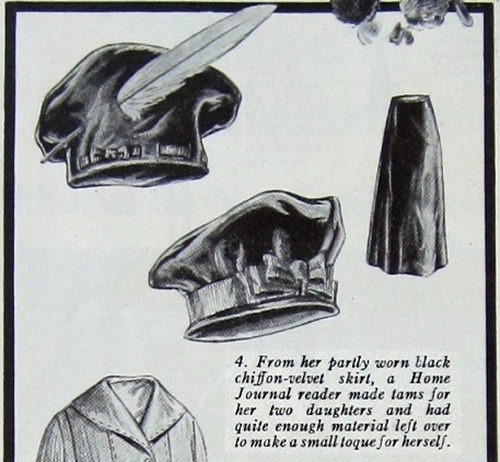 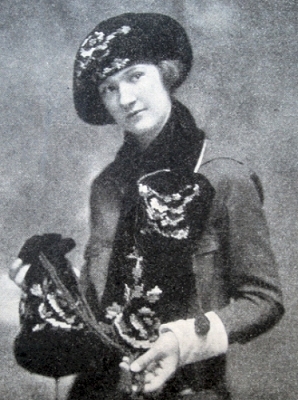 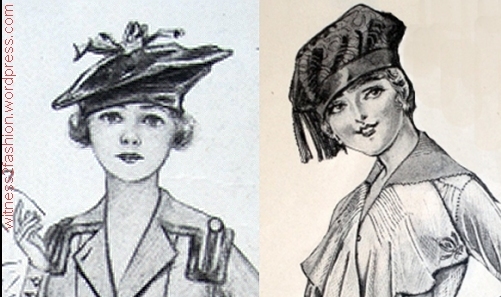 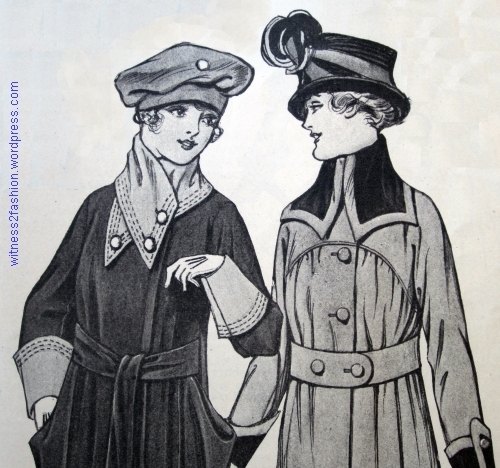 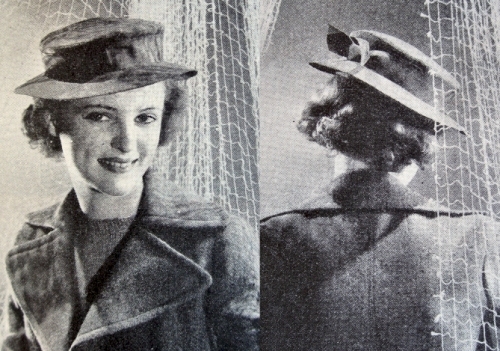 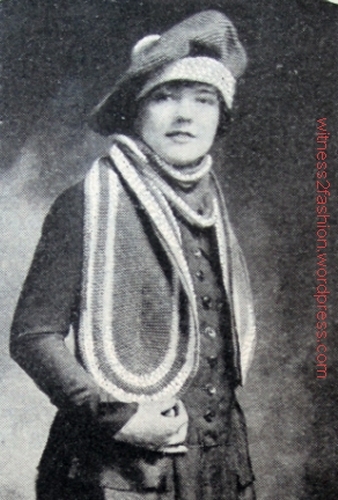 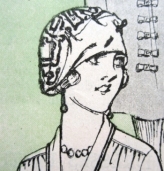 By 1934, magazines were using photographs as well as illustrations of the patterns for sale. 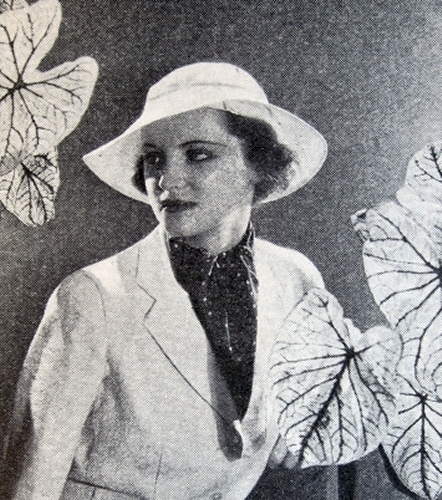 These photos for Delineator magazine were taken by Toni Frissell. 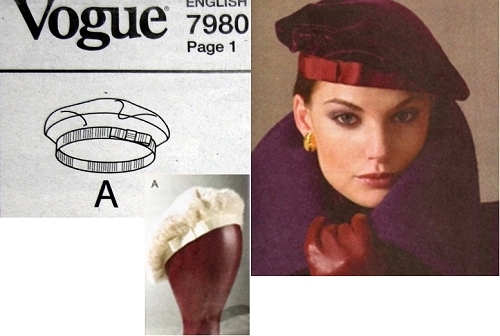 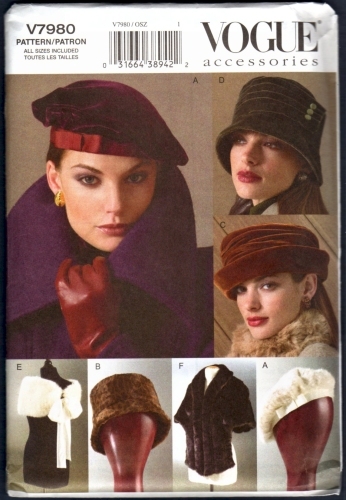 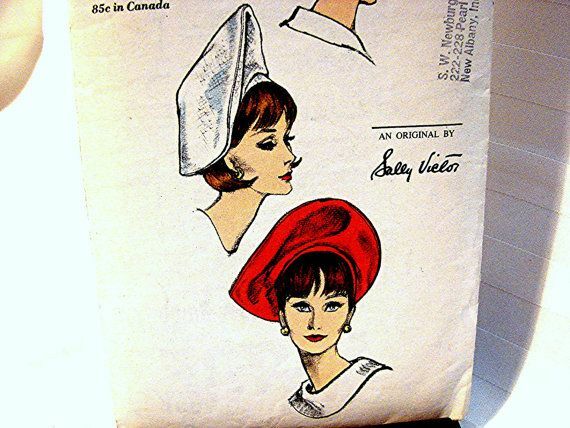 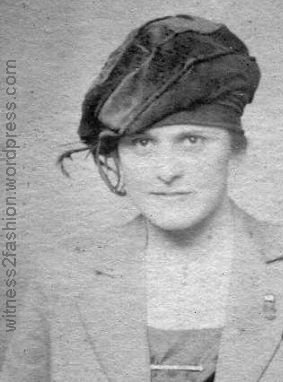 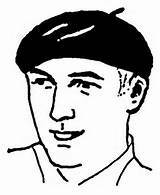 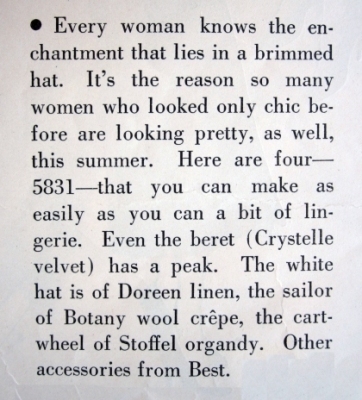 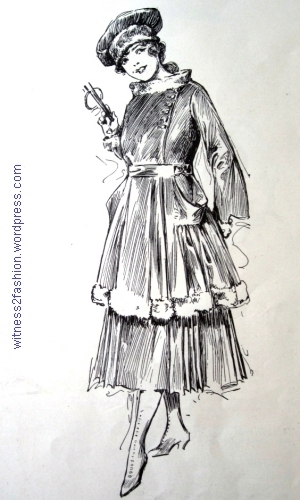 Four very different hats can be made from this one pattern, Butterick #5831 – a white linen hat with a medium brim, a velvet ‘beret,’ a large cartwheel hat of dark colored organdy, and a wool crepe ‘sailor’ hat.